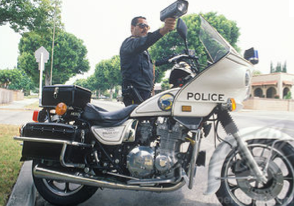 Yesterday, we reported that Police in Napa, California, will be targeting bikers this weekend. Well, thanks to the grants from the California Office of Traffic Safety through the National Highway Traffic Safety Administration, this kind of targeted law enforcement is spreading. Next stop, Bakersfield, California. The Bakersfield Police Department will be conducting "specialized Motorcycle Safety Enforcement Operations" today, and on August 28, 2011. 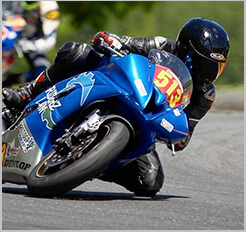 The grants are earmarked for Motorcycle Safety. Officially, the word in that they will be patroling areas where motorcycle accidents frequently occur, and cracking down on traffic violations made by motorcyclists that can lead to motorcycle collisions. Unfortunately, these "Safety Operations" are used for shaking down bikers, often for issues like loud pipes. If you're riding in Bakersfield today or Sunday the 28th, keep an eye out for over-zealous law enforcement. Or, if you're riding with loud pipes or a non-DOT helmet, you may want to avoid the area all together. The motorcycle accident lawyers at Riderz Law will keep you posted as we hear about any police abuses and biker shakedowns in California as we hear about them. If it happens to you, let us know.